FARM STEW | Blog Post | Soy and Veggies for Peace? Soy and Veggies for Peace? I try not to be a dramatic person, but honestly, this is a matter of death and life, war and peace. I’ve just returned from Africa, where the pulse of FARM STEW’s heart beats the strongest. 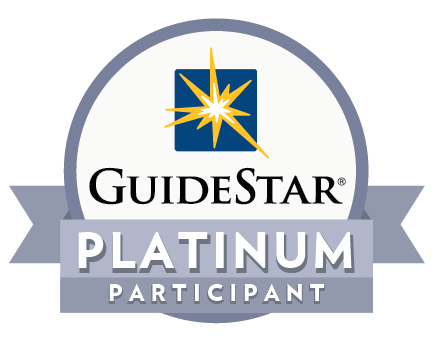 Our Christian trainers there are working so diligently and effectively to reach the people. They require two essential nutrients-funds and prayers. Your gifts are the lifeblood of this ministry. Thanks to you, our impact is growing every day. My prayer is that they keep flowing. I could write a short book on the stories of people who expressed their hope for the future as a direct result ofY OUR investment in FARM STEW. 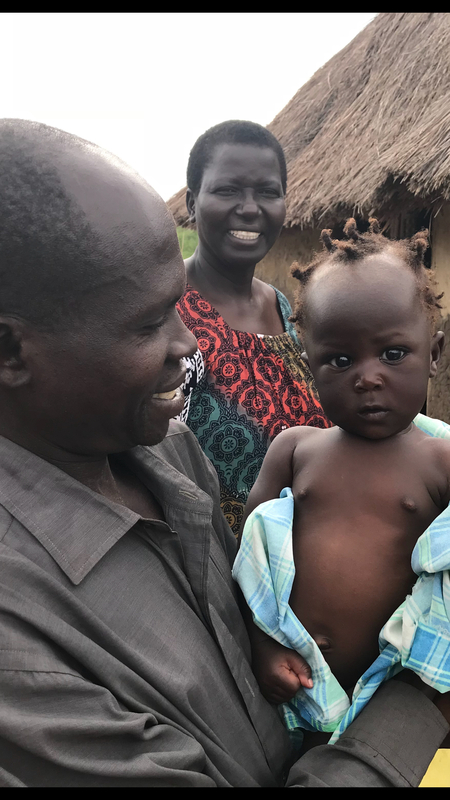 Today, I’ll share just a few from the refugee camps in Northern Uganda where our South Sudan Outreach Team launched in March 2018. Joseph Malish, a refugee from South Sudan and a church elder, is a FARM STEW trainer there. Like many in the Bible, he was given a new name, “Malish Leben.” Leben means “milk” in Arabic, the common language amongst many tribal groups. The simple act of transforming soybeans into milk is so surprising to his fellow refugees, that it has become central to his identity. They love it and they love him! Amazingly, “Malish Leben” believes this plant-based milk could be the key to end the fighting between the tribes. That sounds strange, I know, but it may be true. But the world doesn't know of FARM STEW's hope just yet! National PublicRadio (NPR) released an interesting story last November that said, “South Sudan has one of the largest refugee crises in the world right now… The preferred form of currency in South Sudan is not cash, but cows.” Much of the violence centers on the theft and killing of cows. Killing people for cows has become common in South Sudan. Joseph described how the Nuer and Dinka tribes, who especially love milk, are the worst of enemies. In FARM STEW trainings, forty-two tribes come together, including the Nuer and Dinka. Joseph described a training where forty-five people attended from many different tribes. Although he speaks many languages, he asked a Nuer to translate for a Dinka. During the eight-hour training, the group bonded through their collective food preparation work. At the end they sat together eating nutritious, local foods from common pots, and drinking milk from humble soybeans. Participants said they wanted to come every day to learn more. Can you see how this message is an entering wedge to soften hearts? A report from theUnited Nations Food and Agricultural Organization estimates, “that at least 80percent of South Sudan’s population relies on cattle to some degree. For many groups – adolescents, lactating mothers, herders – it is their main source of nutrition.” But when they are forced to flee as refugees, all the cows are killed or left behind. Joseph “Malish Leben” predicts that the capacity of refugees to make their own milk could be a key to healing for his nation. The NPR reporter asked a resident whose cows had been stolen: “How do you imagine your future without cows?” His response, through an interpreter, was: “I can imagine I will lead a terrible life. Life without cows is like there is no life.” That is why, in part, many refugees fall into depression. “The thief does not come except to steal, and to kill, and to destroy.” Those three tragic verbs summarize South Sudan’s history. Jesus is the answer. He comes, “That we may have life, and have it more abundantly.” That is the mission of FARM STEW and it is serving as the right arm of the gospel! FARM STEW can train people to grow hope, in the form of simple soybean, and to learn of our true hope in Jesus!! Another way that we are bringing hope to the refugees is by supplying washable cloth pads to girls. We’ve already provided pads to 89refugee girls this year in the Pagirinya Adventist School. These girls are the mothers of the future and the longer they stay in school, the better. Research shows that all indicators of child health are related to a mother’s education. When you send just$10 per girl, allowing FARM STEW to equip them for menstrual hygiene, you can affect future generations. We want to reach 2018 girls this year, and need$14,750 more to reach that goal! Can you see now, why this is a matter of life and death? Your gifts to mobilize FARM STEW trainers and meet basic needs of girls are saving lives, now and in the future? The work in the refugee camps has only just begun. This time last year we had just six full-time African trainers, and by faith we now have seventeen deployed in four teams across Africa! We need your help to carry the message forward and stop warring tribes! Will you send a generous gift today? We need it to mobilize trainers and equip girls! Together, with your gifts, we help farmers grow their lives and future. Here’s one last story! Doreen Arkangelo, our South Sudan Outreach team leader, also has a new name. She’s been a Church leader in women’s ministry and family life for decades. Now she’s called “Mama Geregere,” meaning“Mother of the Rainbow” in the Mari language. FARM STEW promotes the power of eating a diet with a rainbow of local fruits and vegetables for health. Its importance has never been higher than in the refugee camps, where fresh produce is so rare. The law of supply and demand teaches that what is rare is valuable. 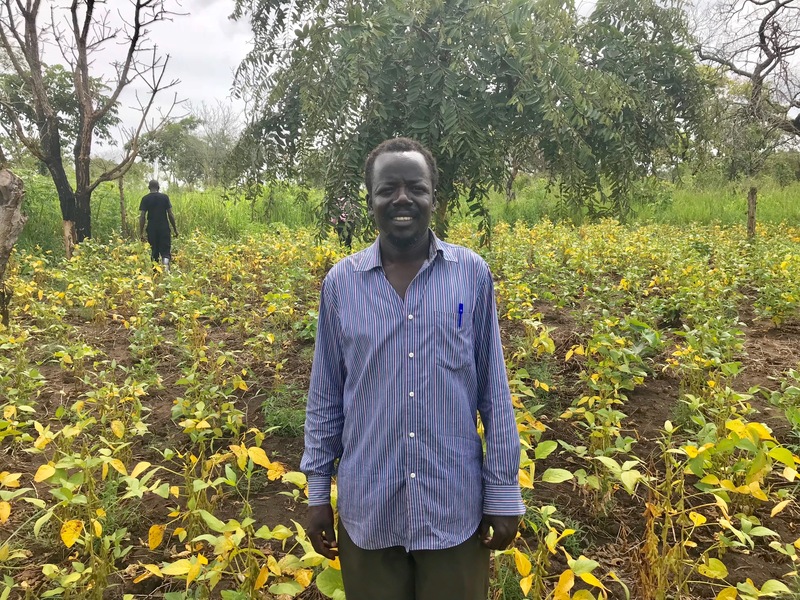 That can be a blessing to refugees trained by FARM STEW and willing to work hard like Francis, a refugee, church elder, and father of six and he cares for an orphan. Providing men like Francis with a way to sustain his family is our joy. With Mama Geregere, we went to a field outside the refugee camp that Francis is renting from a native Ugandan. It is far down a “road” that should not have that designation. Where the “road” stops, we walked another half mile. The mud huts we passed on the trail were populated with skinny kids with big distended bellies, likely swarming with worms. Women were drying cassava (a starchy root crop) on mats in the sun at various stages of making home-brewed beer. It was so sad. In sharp contrast, it was a pleasure to arrive at Francis’s field of soybeans and vegetables. FARM STEW provided the seeds and training a few months ago. Francis’s neat rows with sufficient mulch showed he had used both well. A small stream another quarter mile down a steep hill was his source for hand carried water to nurture growth. He created a climate for the seeds to thrive and it worked. The soy plants were nearing harvest time, with yellowing, fat pods covering the central stalk of the plant. The vegetable seedling beds, full of healthy, inch high plants, spoke of hope! The seedlings will bring health and life, rather than the death of cheap cassava beer. Francis shared that he had recently harvested hundreds of tomatoes. It was so amazing to hear what he did with the profits. This humble man, a refugee who’s now a confident farmer, shared with me that he was able to send his children to a Christian school. Even though the school is made of sticks and classrooms are separated by black sheet plastic like we use in trash cans, Francis delights in the future of his children. FRANCIS is so motivated by his accomplishment. Your gifts toFARM STEW combined with his hard work made it possible! Although their passion for the Lord abounds, these refugees, face the daily challenge to secure life. That is why we conducted an intensive training-of-trainers program to increase their knowledge and skills during their camp meeting. Our thirteen full-time, Uganda based African FARM STEW trainers were joined by ten refugees who are serving as volunteers. We camped in tents under the star-filled sky lulled to sleep listening to the youth choirs of the camp meeting that hosted us. Several times a day we practiced what we learned by teaching the thousand refugees gathered in breakout groups under various trees, divided for a short time by language. It reminded me so much of the commandment to preach to all nations, tribes, and tongues. The laughter transcended languages and spoke loudly of life! Local District Pastor Thomas Amoli, a strong advocate for FARM STEW, described the severe trauma of the refugees. He shared that the work in the camps can be overwhelming, but that FARM STEW has come at just the right time. “Moses and Joshua, this is like the church ministry and FARM STEW,” said Pastor Amoli. Pastor Amoli testified to the fact that the work of FARM STEW is bringing life into the churches! God is opening many doors for us to share the recipe of abundant life, but time is short! Doors will close just as fast as they are now opening. Deadly violence just a few days before we arrived caused the authorities not to allow us to enter one of the camps where we have two FARM STEW trainers. The only reason they can continue to work is that they are refugees, registered as residents in that camp. That’s why training our church members in these camps is so important! They are the messengers who can bring the good news! Together, we must act with urgency to share the recipe of abundant life -- FARM STEW! I have so much more to share, so look for emails coming from me over the coming weeks. Please pray! I trust the Lord will lead you to a generous commitment because I believe this work is in the very center of His will. Your ongoing support will keepFARM STEW’s lifeblood flowing. Mama Doreen Geregere with a refugee father and daughter.